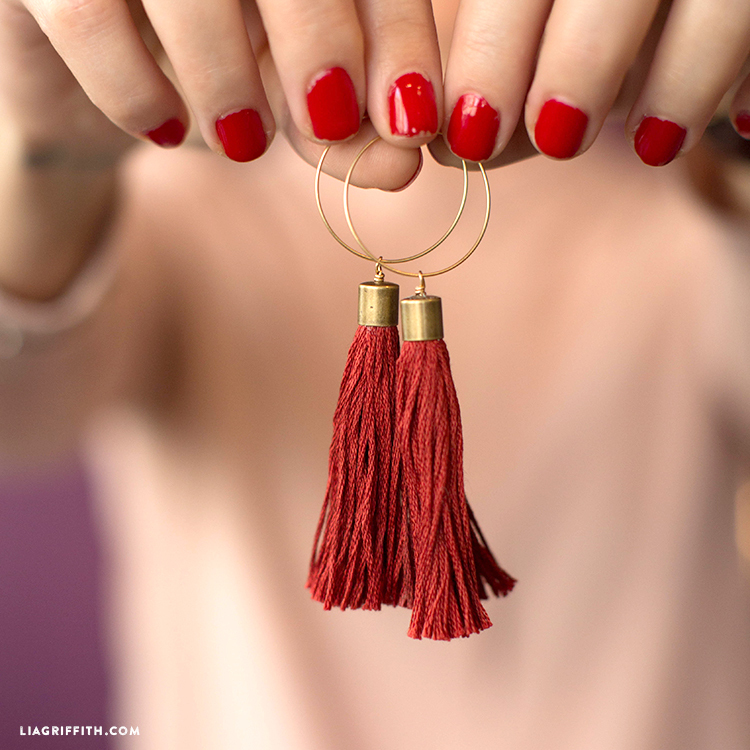 Tassels without the hassel! 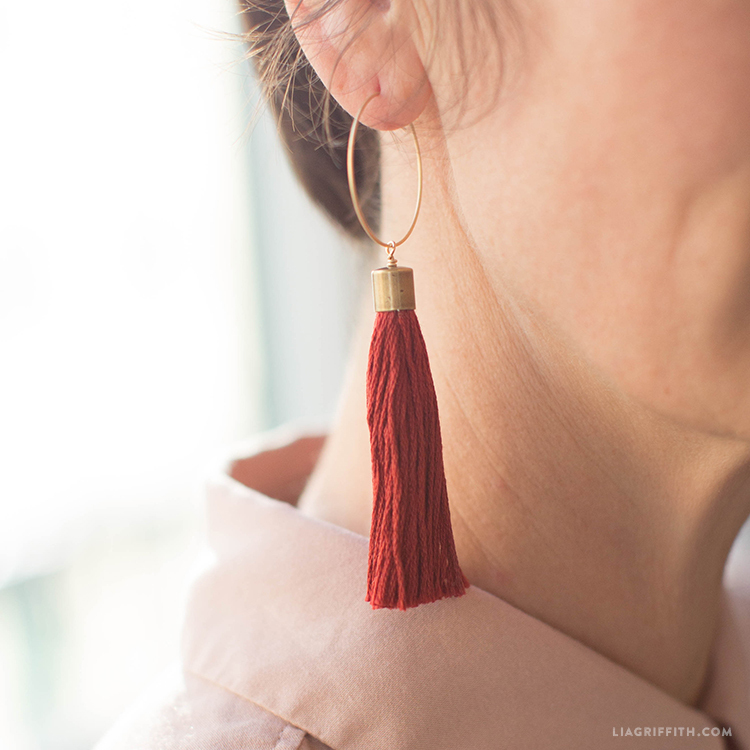 These DIY tassel earrings are elegance made easy. 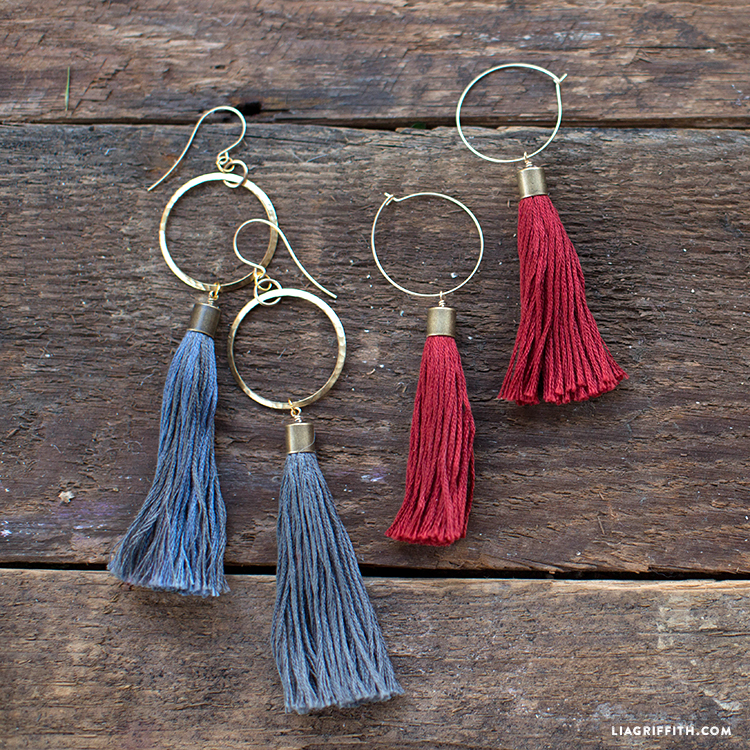 The supplies and photos tutorial below is for the red tassel earrings, but the blue set are just as easy — why not try your hand at both? 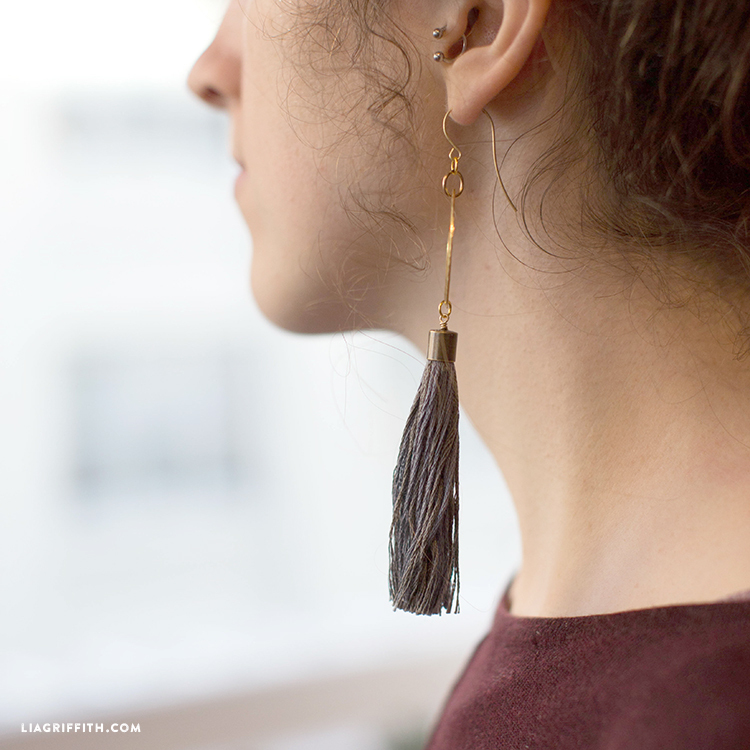 Designer Jessica found all of her metal materials from the local jewelry store. She’d recommend taking a trip to hand pick your own pieces for best results. 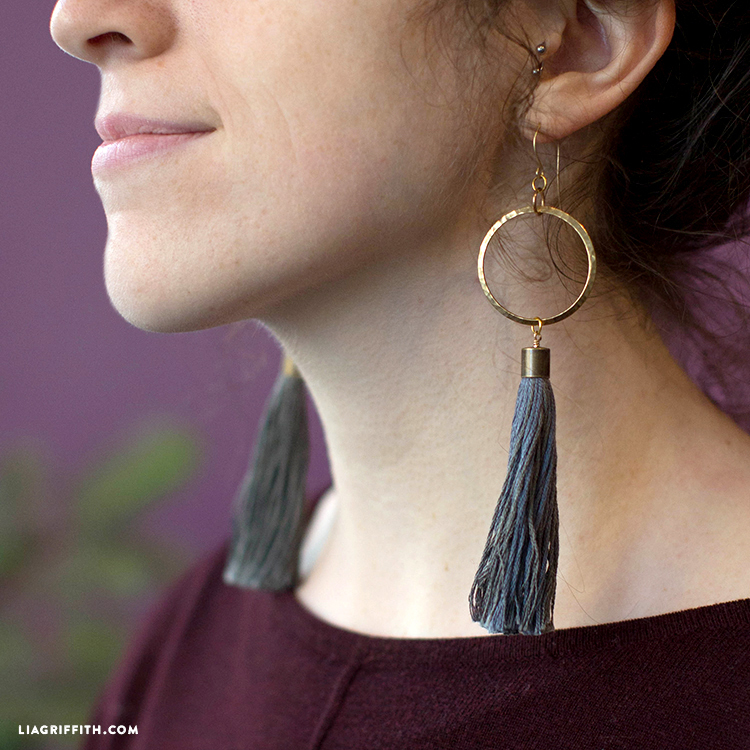 If you’re new to jewelry making, get some helpful tips and tricks, and check out our video series here. 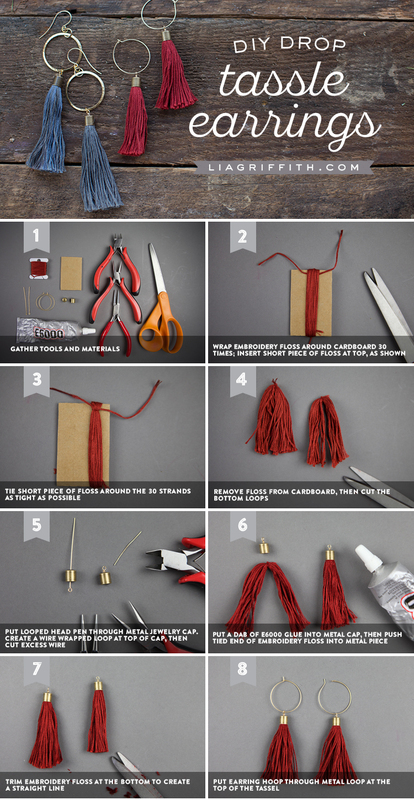 Wrap embroidery floss around your piece of cardboard thirty times. Insert a short piece of floss at the top, as shown. Tie the short piece of floss around the thirty strands as tightly as possible. Remove the floss from the cardboard, then cut the bottom loops. Put the looped head pin through a metal jewelry cap. Create a wire wrapped loop at the top of the cap, then cut any excess wire. Then put a dab of E6000 glue into the metal cap, then push the tied end of the embroidery floss into the metal piece. Trim your embroidery floss at the bottom to create a straight line. 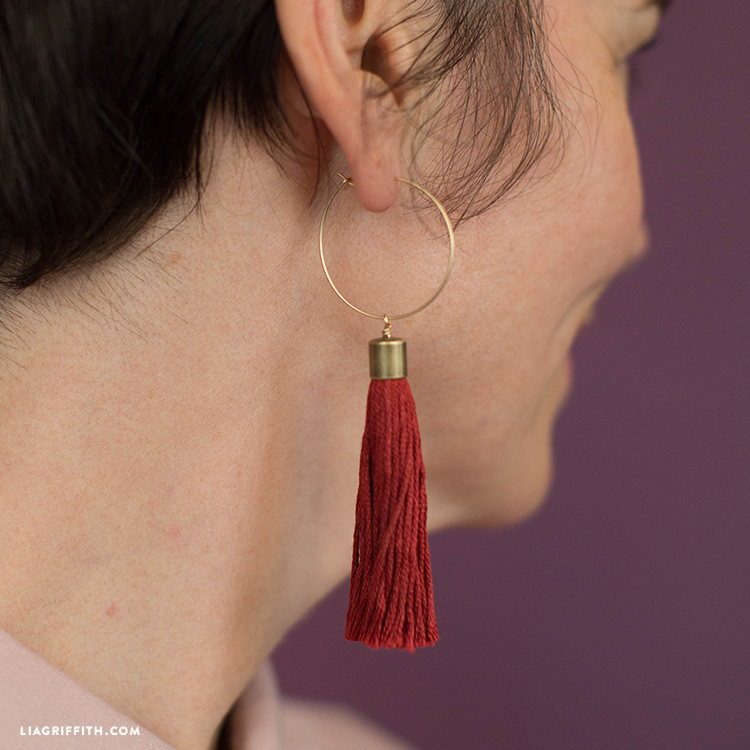 Finally, put an earring hoop through the metal loop at the top of the tassel.